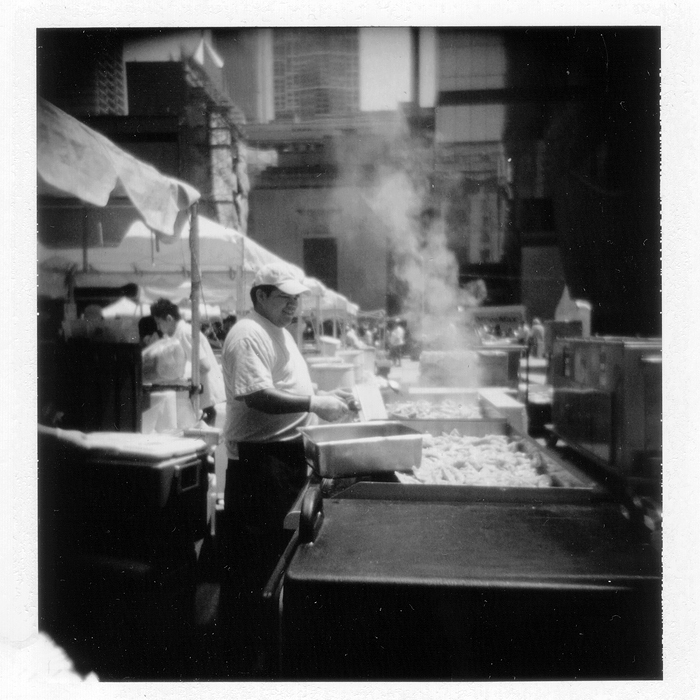 Cooking pot stickers at the Thailand Festival in Daley Plaza, Chicago. I believe this was taken on June 19th. I apologize for all the dust spots on the photo. I need to clean up my scanner and my prints before scanning. Posted in B&W, Chicago, Holgaroid, Loop, Lunchtime Walks.